The first few days after I moved to Kyushu, in December a few years ago, I had a night in Hakata then a couple of days training elsewhere before going to my new home. 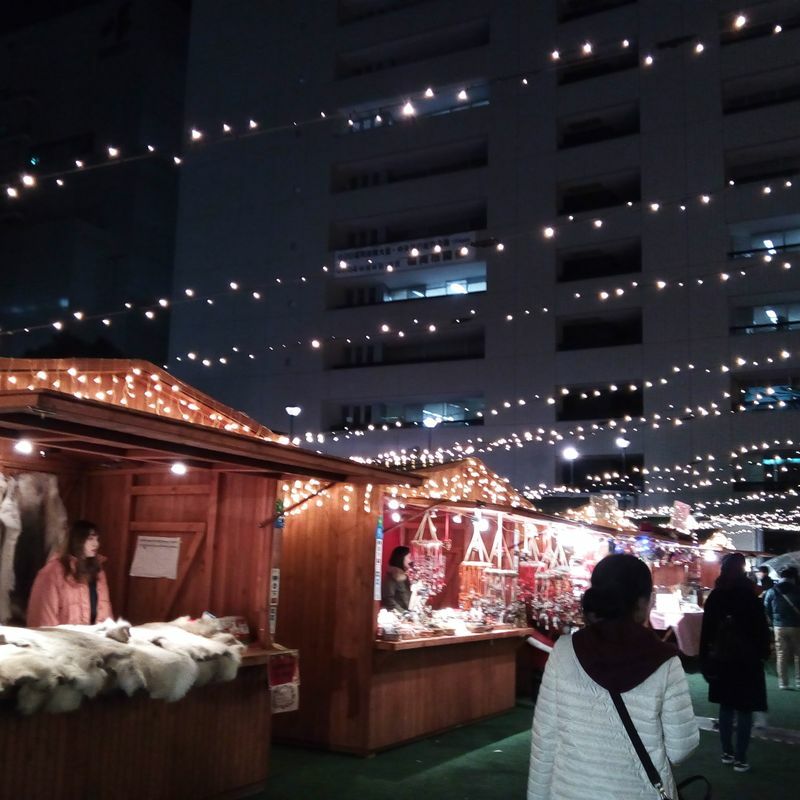 I had my luggage while heading to Hakata Station to go to my new city one night, and decided to take the time to stop at the Christmas Market I had noticed at the open space in front of the station. 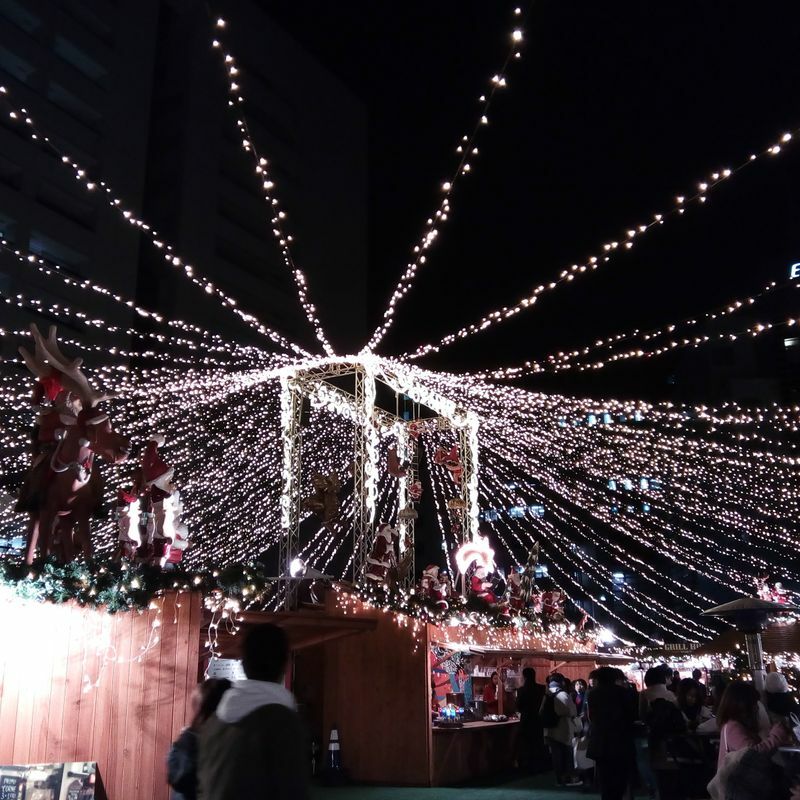 The focus of Fukuoka Christmas Market is on all the European foods and wintery gifts popular around winter for us foreigners. The stalls (temporary wooden structures that look like little houses) are run by both foreign and Japanese staff, sharing products and culture from Europe. There were soups and meats and hot drinks like mulled wine and hot chocolate in addition to ornaments and handmade gifts. As usual, beer was a popular drink to enjoy with the winter foods, like a kind of winter beer garden. The lighting was also fantastic with huge lit stars hanging from the station building and a giant 'tree' that looked more like a wedding cake. I looked around and had a cup of creamy pumpkin soup before heading on my way to my new home (or hotel at least). This is a newer annual event, so I planned to stop by the Christmas Market this winter as well. 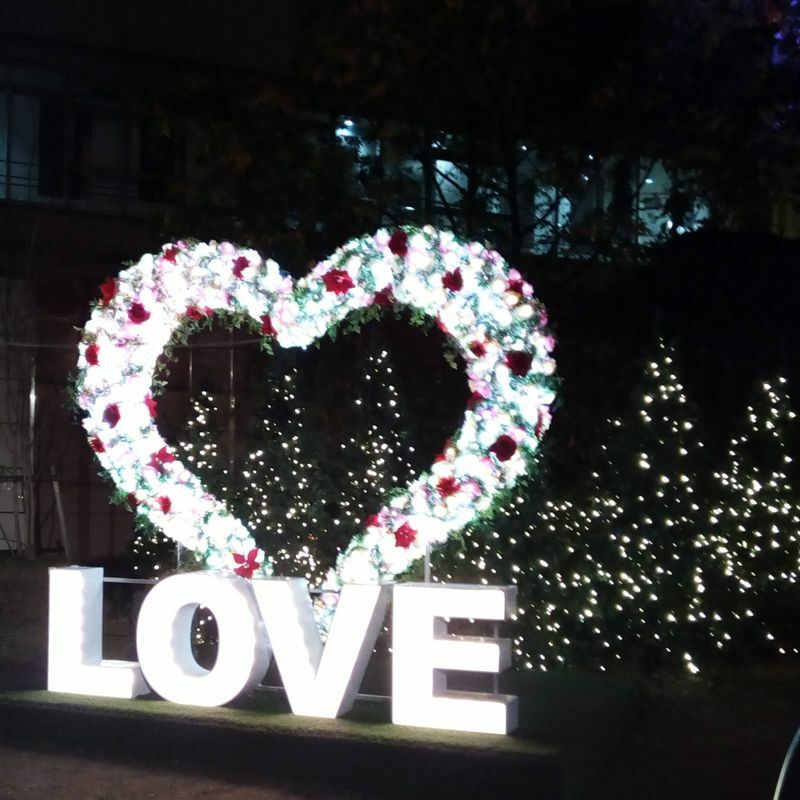 The event lasts until Christmas day and is generally popular at night (open from 5 pm until 10 or 11 pm) and on weekends, although on holidays and weekends they start up at noon. The foods are pricey but also unique for Japan and nostalgic for foreigners. If you're craving a turkey drumstick (with cheese? ), you can get one there. There are tons of yummy looking foods from Europe I haven't had the chance to try yet. Even if you aren't interested in a beer or mulled wine with your treats, the lights, the tree, and looking around is fun. There are a lot of foreigners in the city, so we can find a lot of them running these stalls, sharing about their culture. This year there are even be reindeer hides for sale! 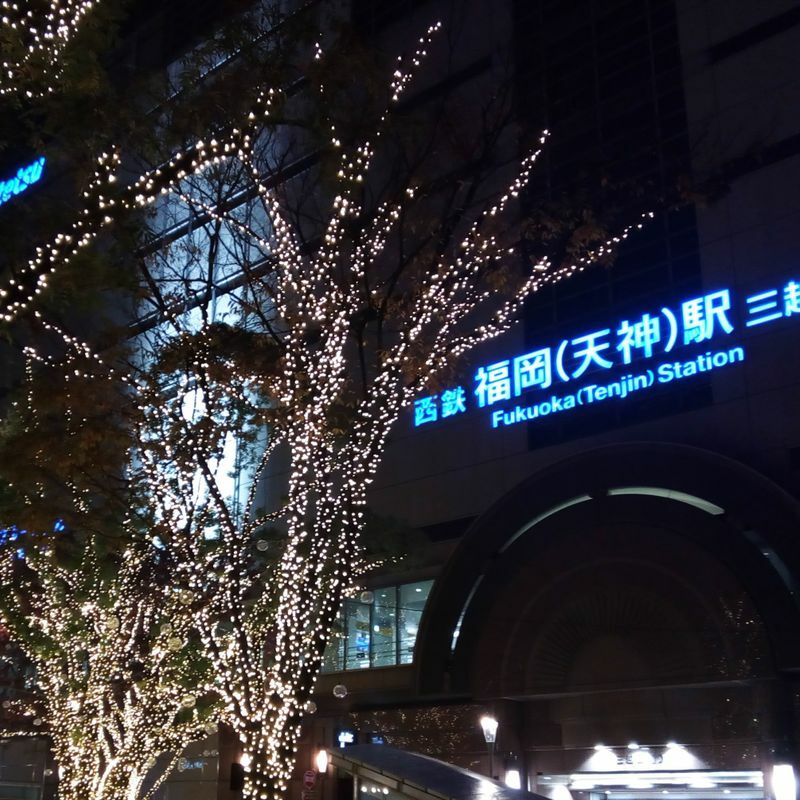 In addition to Hakata Station, there's another location this year, in Tenjin. Both locations opened their Christmas Markets in November, running daily until Christmas Day. 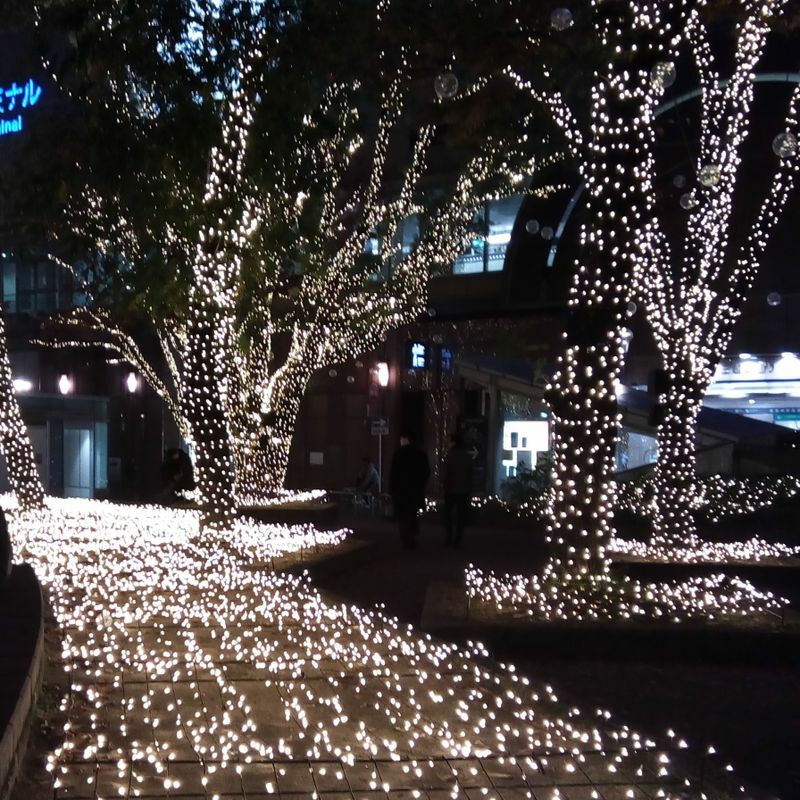 They are outdoor events, but keep in mind that it rarely snows during December in Fukuoka. 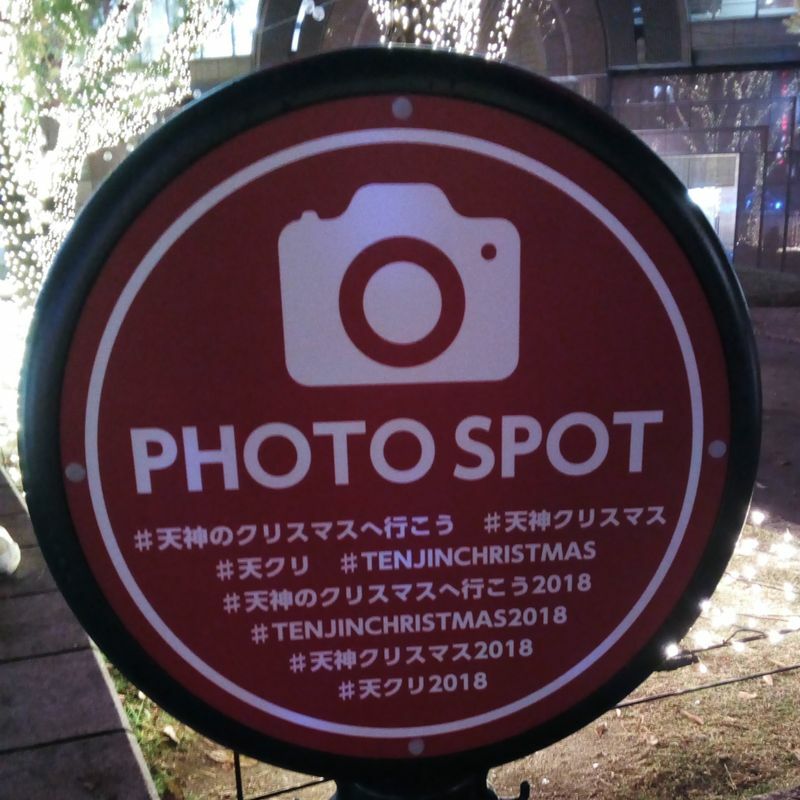 While in the Tenjin Station area (Nishitetsu Fukuoka (Tenjin) Station, to be exact), I wanted to catch this year's Christmas Market and see the new location. Outside of the station is an area called Kego Park near the shrine. In the past I had seen the trees decorated with lights in this park. This year the illumination is much more than that. 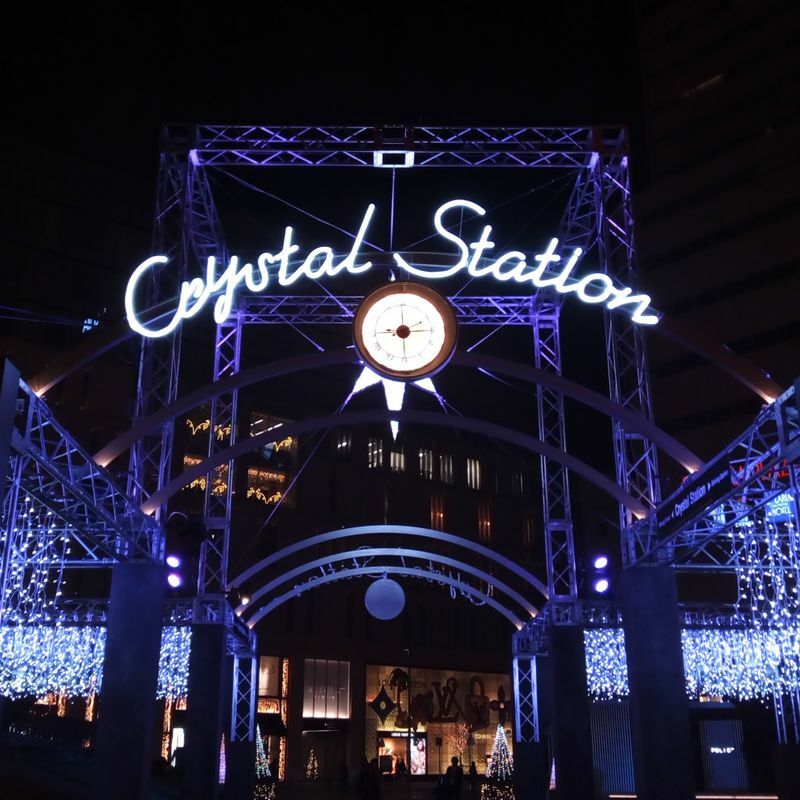 There's a structure lit up and named, Crystal Station, a few 'photo spots,' and a Love display where young couples were busy snapping photos. Where was the Christmas Market? 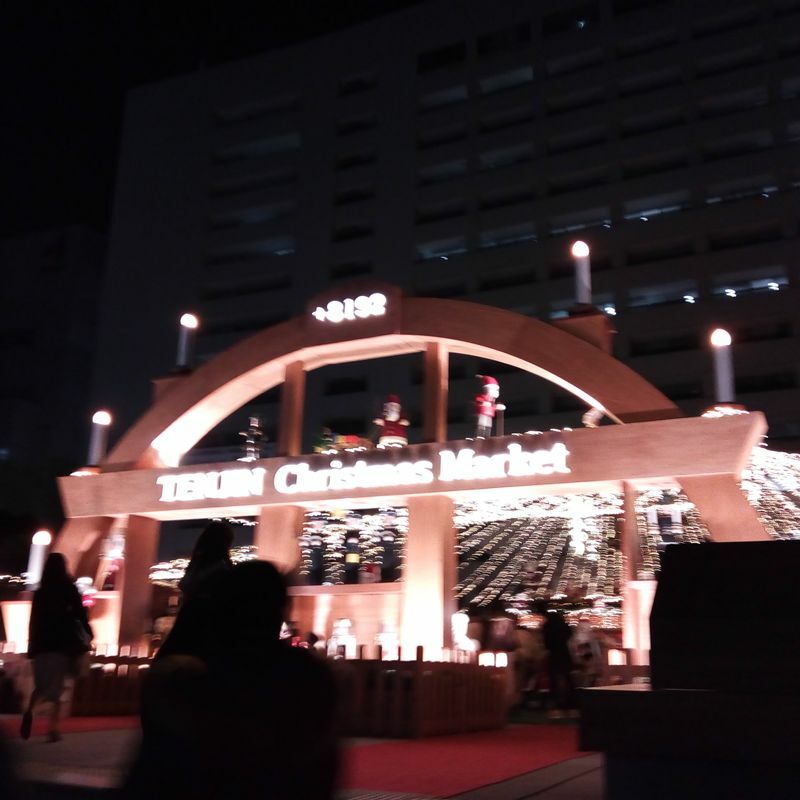 Now that I look at the site, the Tenjin Christmas Market location is at the City Hall West side Fureai Hiroba, not so far from there, so we thought it was at the wrong place. 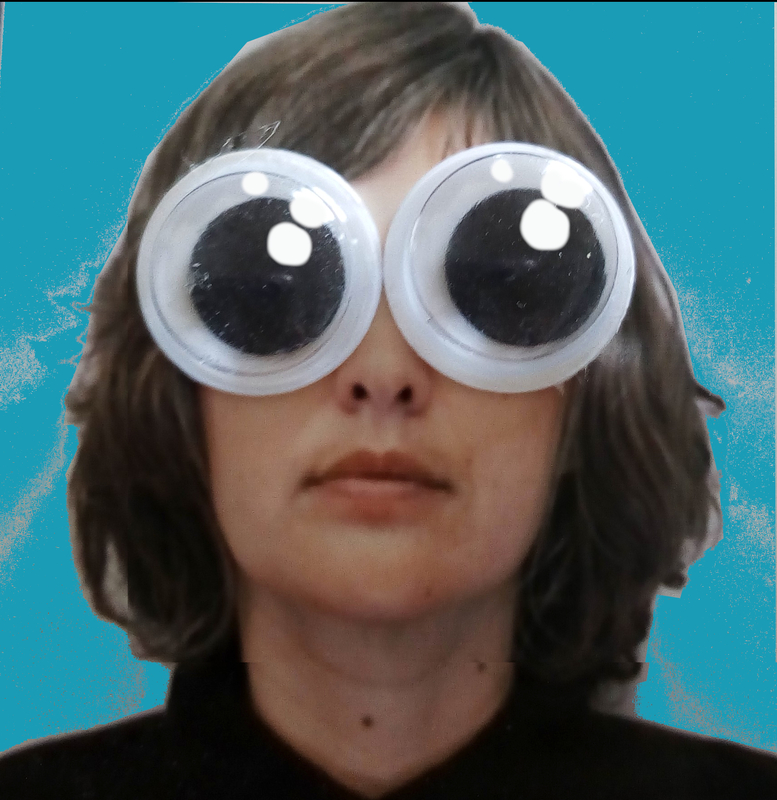 Anyway, the illumination was fun. I recommend checking out the Christmas market and the illumination when you're in the area. We went on a Monday evening about ten minutes before they closed up, and there was still a good number of people there. There were TONS of life size Santa figures for photo ops, beautiful illuminations, and amazing smells. We had the 'tornado,' a spiral shaped sausage, and it was delicious. 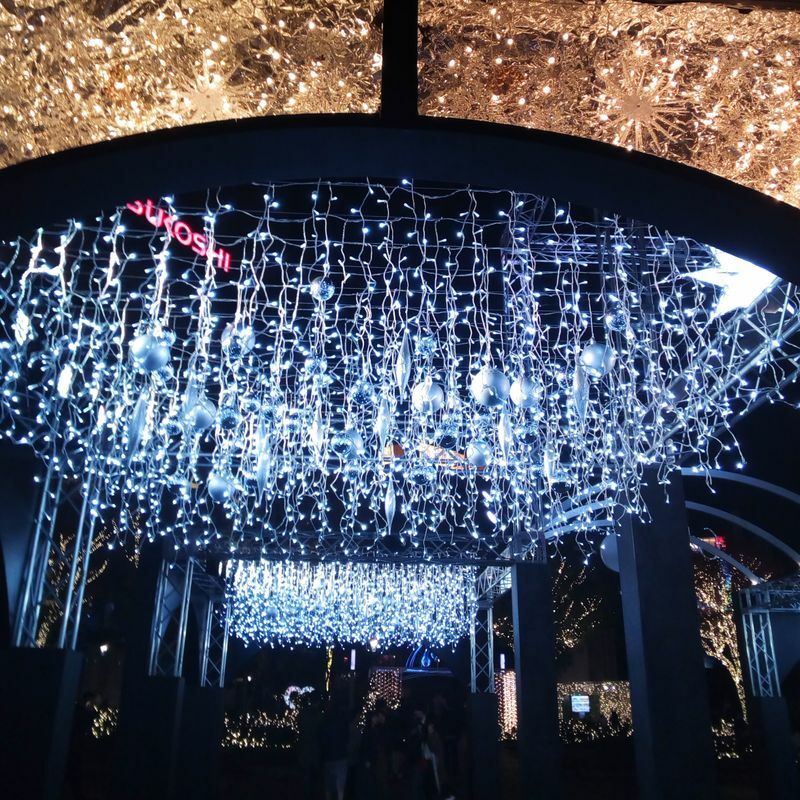 Highly recommended along with the park illumination in the same area for a quick date in the city.